I got the pleasure of spending a few hours with Lenny to work on an upcoming conference that I am..
Lenny is a true professional and expert in the field of public speaking and communication. During.. When speaking about Trainer Lenny Laskowski during this course, we can evaluate the most sticking.. Attending this course with the international trainer Lenny Laskowski is a new addition to my life.. Thanks to every participant in this workshop under the leadership of the international trainer Lenny.. The course of presentation skills with Lenny Laskowski was very good because of the trainer's..
Lenny - I would like to express my thanks to you for the role you played in making our National..
Mark Lyle Vice President, Marketing, W.J. Deutsch & Sons Ltd. Thanks Lenny. Your presentation was energetic and achieved our goal of setting the stage for the.. I've been speaking professionally for over 16 years spending thousands of dollars in various..
Lenny Laskowski facilitated numerous Presentation Skill classes for the Department of the Army,..
Lenny Laskowski is an internationally known professional speaker and the President of LJL Seminars. 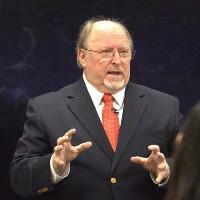 He is a leading authority on the topic of public speaking and presentation skills. His workshops, seminars, keynotes, and private coaching provide practical techniques that help people succeed as speakers. Throughout his 25 year engineering career, Lenny has written and presented technical papers to people throughout the world. He shares his own personal experiences with universities, businesses, and corporations, providing practical techniques to improve presentation and communication skills. Lenny is a member of the National Speakers Association, the New England Speakers Association, the American Seminar Leaders Association , the American Society For Training & Development, and the International Platform Association. He is also a member of Toastmasters International and speaks regularly at Colleges, Associations, and Corporations. Lenny earned the "Dean's Award" as best instructor at Toastmasters Leadership Institute in 1993 and was voted Toastmaster Of the Year for District 53 in 1994. He was one of the featured speakers at the 1996 Toastmasters International Convention. His best selling books, "Dynamic Presentation Skills for the Business Professional" and “No Sweat Presentations - The Painless Way to Successful Speaking,” along with his other publications, audiotapes and videotapes, have helped thousands of people from around the world in over 178 countries become better presenters. Lenny is also the author of the book, "Success Via the Internet-How to Grow Your Business Online." Lenny's website is featured in the book, "101 Best Dot.Coms to Start: The Essential Sourcebook of Startup Wisdom, Financial Tips, and Inside Secrets for Building a Business on the Internet." Lenny's National Best Selling Book, "10 Days to More Confident Public Speaking," published by Warner Books (now Grand Central Publishing), was released in July 2001 is now in it’s 10th printing. Lenny’s latest book, “Painless Presentations – The Proven Stress-Free Way to Successful Speaking”, was just published and released by John Wiley & Sons. Lenny’s Simply Speaking E-Zine is sent to over 78,000 people in over 178 countries. Executive one-on-one coaching along with "in-house" group programs for any size group. Programs from 1/2 day to 3-4 day programs available - all customized to meet your needs. We are the leading authority on public speaking skills and internationally recognized expert. •	Applied BioTech Concepts, Inc.
•	Automatic Data Processing, Inc.
•	Connecticut Association of Purchasing Mgmt, Inc.
•	Control Diabetes Services, Inc.
•	Gallo Wine Merchants, Inc.
•	Oral & Maxillofacial Surgeons of Milford & Derby, P.C. •	Palomar Medical Technologies, Inc.
•	Purchase Plus Buyers Group, Inc.
•	Republican Political Party, Rocky Hill, CT.
•	United States Aerobatic Foundation, Inc.
•	Utility Mamagement Services, Inc.
Lenny Laskowski facilitated numerous Presentation Skill classes for the Department of the Army, CECOM LCMC, Fort Monmouth, NJ. We received excellent feedback from the attendees. I personally attended his Presentation Skills class and found it informative and effective. Lenny was a pleasure to work with and extremely flexible. I've been speaking professionally for over 16 years spending thousands of dollars in various websites that never worked as advertised from supposedly top flight designers. For an investment of a regular chapter meeting, Lenny Laskowski provided specific & powerful tools and techniques that made immediate massive positive impact on my website. He also provided a remarkable format for a reliable internet marketing tool. This is one of the NSA speakers every chapter should have on their "must come here" list. Thanks Lenny. Your presentation was energetic and achieved our goal of setting the stage for the day--your insights, particularly about SEO got rave reviews from a rather savvy marketing crowd. Lenny - I would like to express my thanks to you for the role you played in making our National Business Meeting a tremendous success this year! Your seminar "Simply Speaking…Selling Yourself and Your Ideas" was highly informative, interesting and effective. Everyone who attended greatly benefited and gave successful presentations at our meeting. Mark Lyle, Vice President, Marketing W.J. Deutsch & Sons Ltd. The course of presentation skills with Lenny Laskowski was very good because of the trainer's character, I could profit from this course, thanks to Medix the organizer of this course for good organization. Thanks to every participant in this workshop under the leadership of the international trainer Lenny Laskowski She enjoys great experience, good performance and unlimited giving to all participants, thanks to all specially, Medex Co. and its officials. Attending this course with the international trainer Lenny Laskowski is a new addition to my life where I profited from this course and its non official meeting the affair which availed a distinctive training condition. Hopping you more success in your scientific and practical life. When speaking about Trainer Lenny Laskowski during this course, we can evaluate the most sticking figure in this field He is excellent. Abd Alla Soliman El Azaz, The Official Speaker of Saudi prisons. Lenny is a true professional and expert in the field of public speaking and communication. During the 3 days of private coaching with him, I learned more than I could have ever imagined. Lenny willingly shared his huge expertise with me and showed me all aspects involved with setting up my workshop. Through his powerful and effective video-taping coaching system, I became a much better and more confident speaker. After visiting Lenny, I had all the tools I needed to continue with my project. Lenny truly stands out as a coach and doesn't hesitate to go the extra mile to prepare his students for success. I got the pleasure of spending a few hours with Lenny to work on an upcoming conference that I am having in a couple of weeks. We spent the first hour of tutoring discussing my needs and then we spent a half day doing a training session. My training included developing clear presentation materials and how to present them effectively. We also talked about the little things when it comes to public speaking - from making sure the room is set up correctly to how hand gestures can really make a difference when giving a presentation. Lenny has worked with all types of people from around the world and he is very knowledgeable on the subject of public speaking. I would highly recommend Lenny.